With Kristina Smarz of "Girls Night Out"
Sign up for the waitlist below. There is still room in the other March 10 workshop! Do you find yourself struggling to get inspiration for scenes? Are you spending more time trying to be original than you are connecting with your scene partners? Are you finding you play from conflict, frustration, or sometimes just find yourself not having fun? ​If you answered yes to any of the questions above, this workshop is for you! (If you answered no to all of the above, you should probably also take this workshop.) Come discover the joy of saying YES with full commitment and excitement. In this workshop, well explore what saying yes really means, how we can say it more fully, and how we can say it through both words and actions. Prerequisite: Completion of Zen of Improv 4 or the level 4 equivalent from another comedy school. About Your Teacher: Kristina Smarz is an artist/educator living in the Boston area. She received her BA in English and Theatre from Boston College and has been teaching or directing Theatre and Improv in some capacity for more than 20 years. 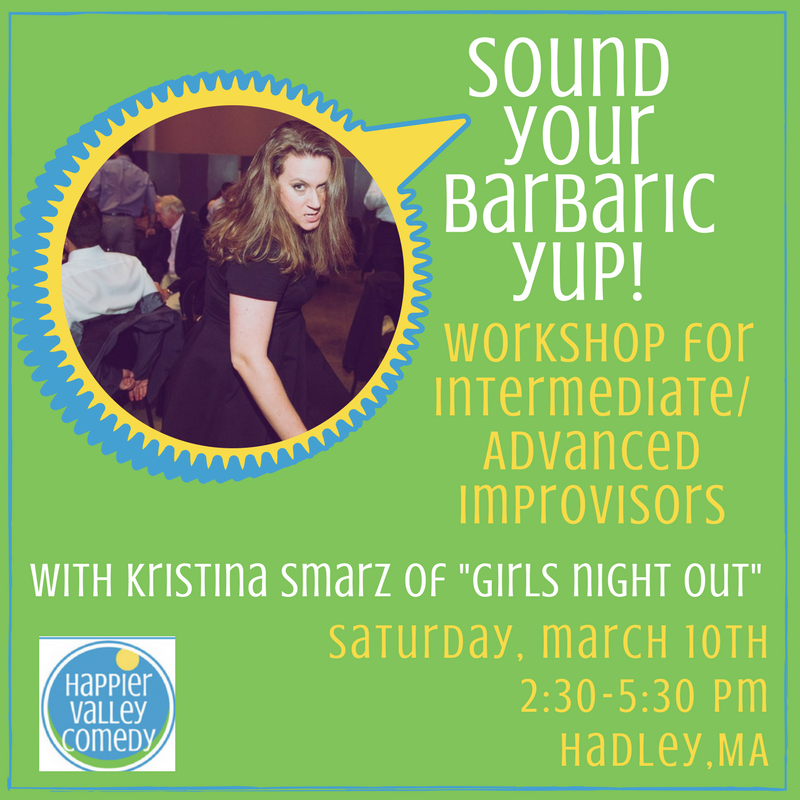 An alumni of ImprovBoston, ImprovAsylum, and Williamstown Theater Festival, Kristina has also trained in numerous master classes and festival workshops including the NeoFuturists, NorthCoast and Second City. Currently Kristina is performing with ImprovAsylums NXT cast, the Majesters at the Majestic Theater, and Something Wicked, a fully improvised Shakespearean Style 5 act play. unless we have 48 hours notice before first class AND we can get someone to fill your spot.